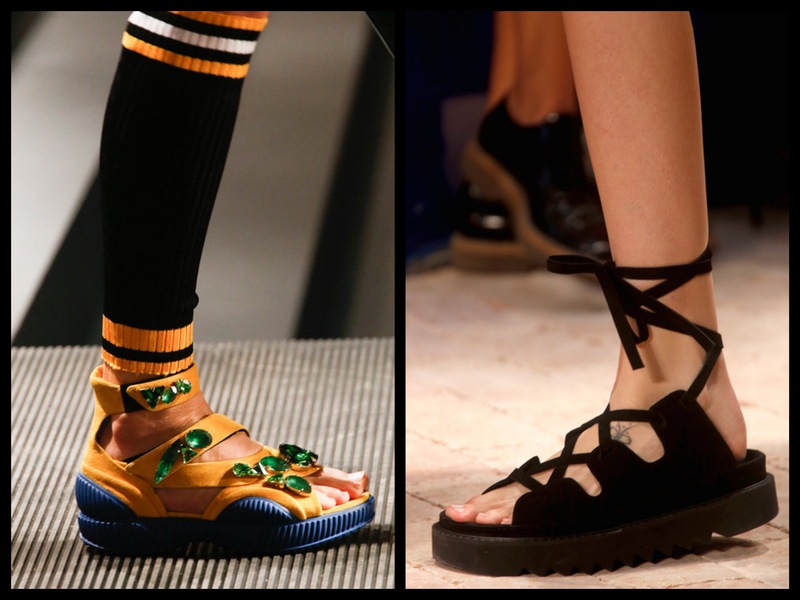 Even though New York A/W 14 fashion week is in full swing, I wanted to revisit some key trends that keep popping up for S/S 14 . Of course, just because something walks on a runway doesn’t mean it will influence anybody’s wardrobe, but when you see certain styling moves or details repeating in all four fashion capitals, it’s a safe bet that you’ll feel their impact in stores near you. 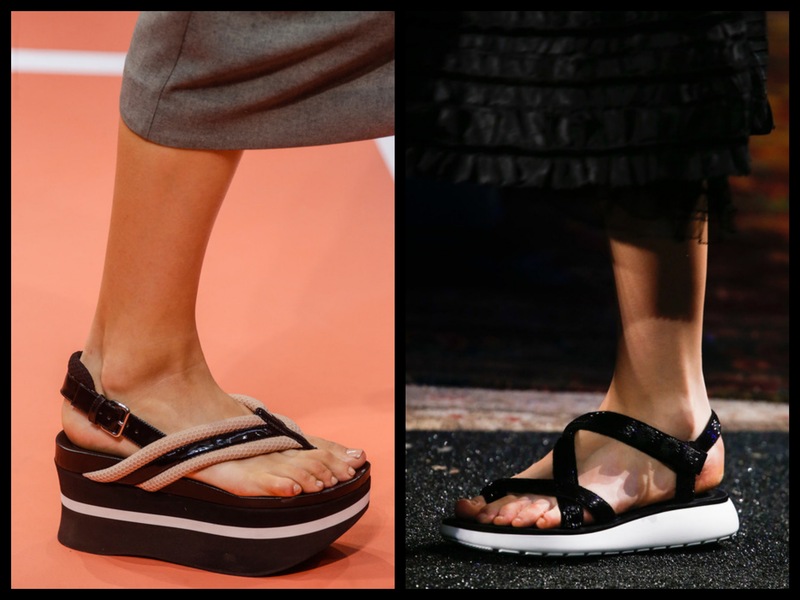 Birkenstocks were the flat footwear of choice for fashion editors this season, but by next season, it will be all about the sport sandal, in bright colours or covered in gems. Crop tops were everywhere in the spring fashion shows, easily being the most ubiquitous trend to translate from the spring runways to the streets and back again. ← Product Of The Day -THE GREEN VA BOMBER JACKET!! !